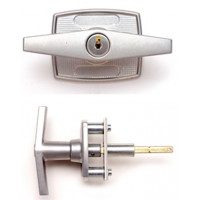 Locking T Handle with silver finish. 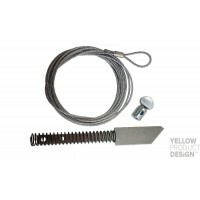 Spindle length - 76mm, no screw spigots 2 fixing holes. 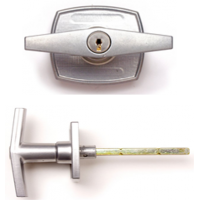 Inc 2 k..
Locking T Handle with silver finish for use on Easyfix doors with 4 holes in back plate. 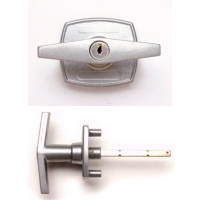 76mm spindl..
Locking T Handle in silver finish spigot centres 50mm (2"). 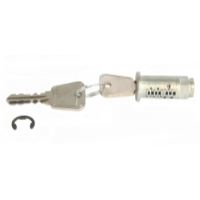 76mm spindle, includes 2 keys and 2 scre..
Locking T Handle for use with most Belcon Doors. 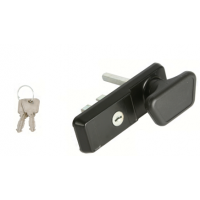 Includes 2 keys, blackplate, 2 nuts, bolts and wash..
Euro Lock Round Barrel supplied with 2 keys and circlip. Cardale part number AZSP1215. 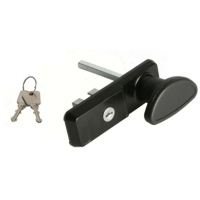 ..
Euro Profile Locking Handle, 78mm long spindle supplied with 2 screws and 2 keys. 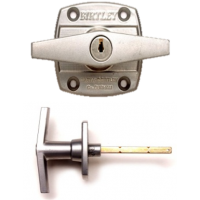 Cardale part numbe..
Euro Profile Locking Handle, 96mm long spindle supplied with 2 screws and 2 keys. 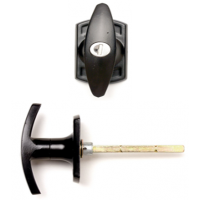 Cardale part numbe..
Euro Profile Locking Handle, 93mm long spindle supplied with 2 screws and 2 keys. 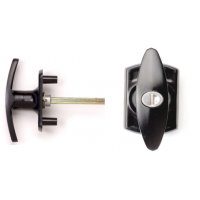 Suitable for Timbe..
Cardale/Compton Pop Up HandleBack Plate 94mm x 30mmHole Centres 50mmComplete with 2 Keys..
Cardale Latch AssemblyCardale Part No AZSP3204 ..
Cardale Crucifix & Cam for Canopy DoorsCardale Part No AZSP1308..
Locking T Handle with black finish. 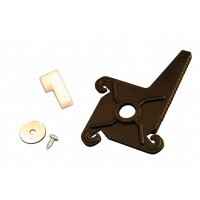 76mm spindle, square, no screw spigots, 2 fixing holes. 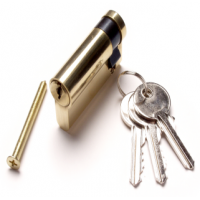 Includ..
Euro Profile Cylinders for use with Henderson, Garador and Hormann, plus many modern doors. APE..
Euro Profile Cylinders for use with Henderson, Garador and Hormann, plus many modern doors. APE45 Fi..